Forgot your password? 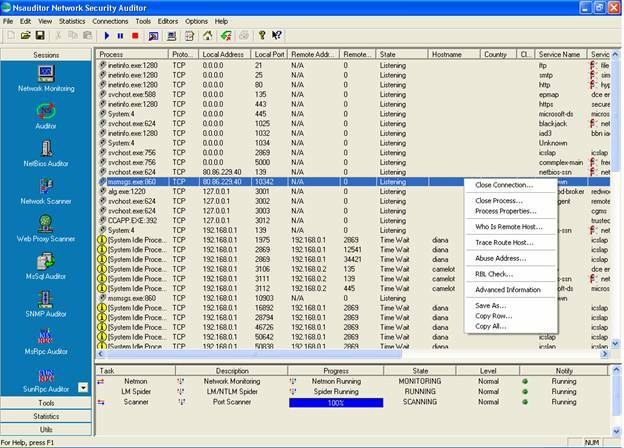 Need to Recover Passwords or Confidential Information saved in your computer? 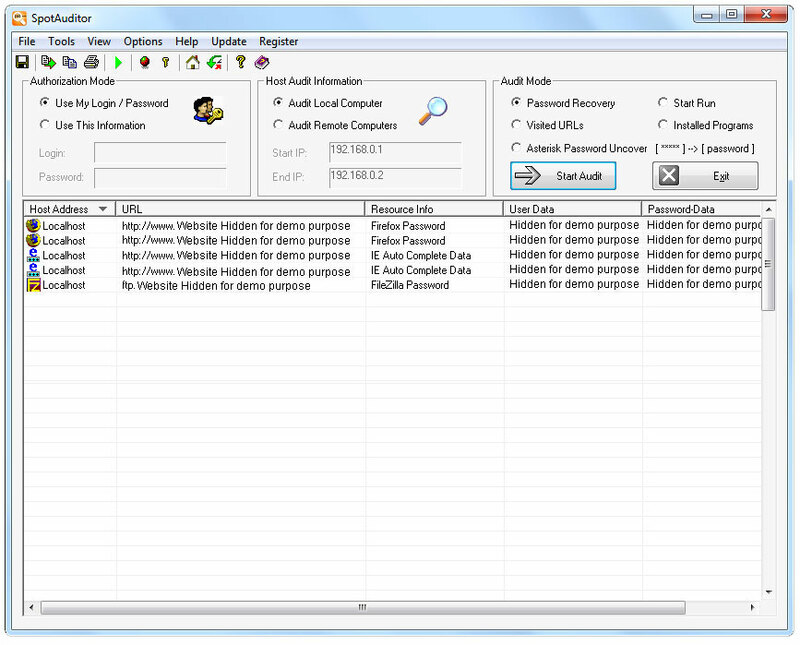 SpotAuditor can Really Help You to do it ! 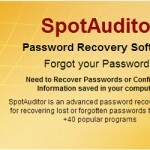 SpotAuditor password recovery software allows to recover lost or forgotten passwords to more than +40 popular Windows programs and tools. 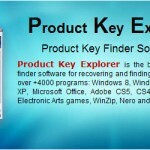 Including all passwords saved in Google Chrome, Internet Explorer, Firefox and Opera browsers. 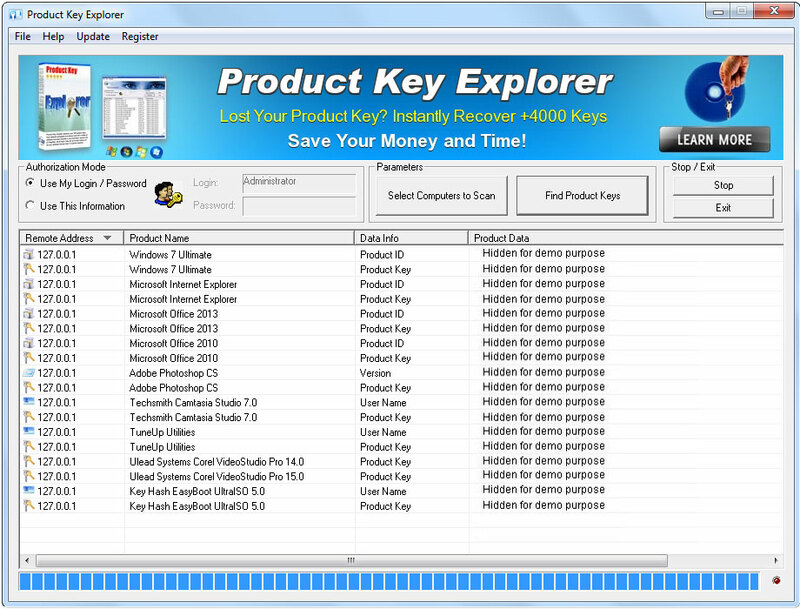 You can save passwords as Tab Delimited Txt File (.txt), Excel Workbook (.xls), CSV Comma Delimited (.csv), Access Database (.mdb), Web Page (.html) or XML Data (.xml) file, Print or Copy to Clipboard.